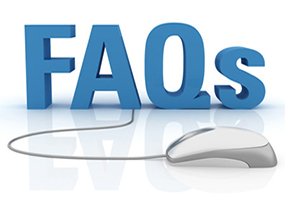 Below you will find a selection of frequently asked questions. However, if you have a question that hasn't been answered below then please feel free to contact us with your query or question. How do I contact SVP if I need help? If you are looking for help or advice we are here to help you in whatever way we can. You can contact us by filling out the online request for assistance or alternatively you can contact your closest Local Office. Is volunteering very time consuming? Who may join the Society? Anybody who has some spare time, is committed to fighting injustice and can empathise with those we assist. You must first take part in our volunteer training and you will also need Garda Vetting before you can become a volunteer. How do you obtain your funds? We obtain our funds through our monthly Church Gate collections around the country, bequests, gift aid, Flag Days, online & offline donations, donations from businesses and money generated from our charity shops. Is Saint Vincent de Paul the founder of the Society? What makes SVP different from other charitable organisations? How SVP differs from other charities is the way in which our volunteers carry out our core work. Home visitation makes up most of the voluntary work SVP does and we do this by visiting the people we assist in their homes and enable them to find their own solutions to their problems, through support and friendship. Is it a Christian Organisation? The SVP is a lay Christian Organisation but membership is open to anyone who respects the ethos and rule of the Society. You do not need to be a Christian in order to join the SVP.